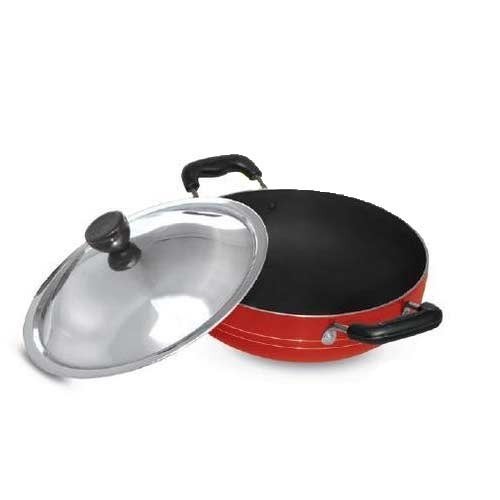 Owing to our rich industrial experience and expertise, we are engaged in offering an extensive range of Double Coated Kadai to meet the needs of our customers. The product that we are offering is made from best material which has a perfectly designed shape thereby making it easy to k and saves maximum time possible for cooking. It is also known in the market as DOUBLE COATED KADAI WITH SS LID AND SS WIRE ROD HANDLE and NON STICK KADAI WITH SS LID.